Company | Design WorkShop, Inc.
Married partners and Springfield, Massachusetts residents Deanna J. Chrislip and Brian F. Hale established Design WorkShop in 1995 to utilize their creative expertise in signs, graphic design, and commercial art. They now have more than 50 years of combined experience in professional design and production. Located in a spacious studio overlooking the Chicopee River in the historic Indian Orchard Mills, Design WorkShop provides comprehensive consultation, design and production services for businesses, organizations, and institutions. 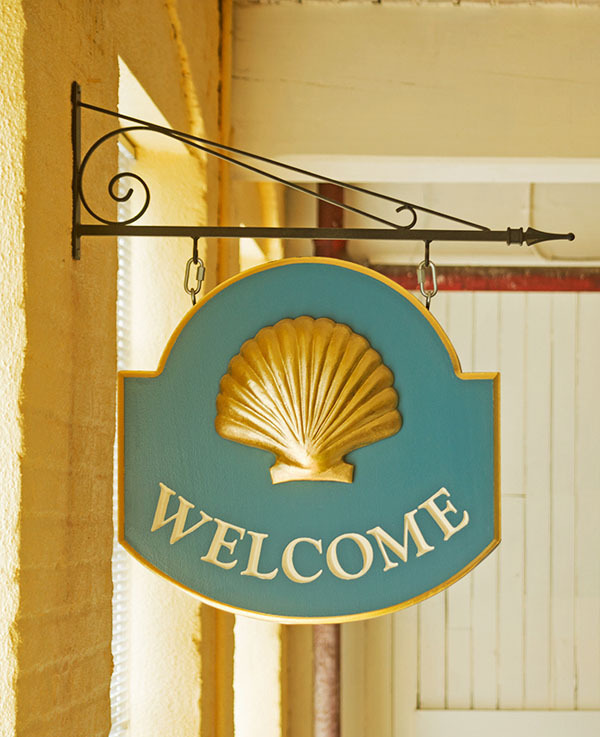 The firm has become well known for creating distinctive signs and printed materials. Deanna and Brian understand the needs of other businesses and organizations and work efficiently to develop appropriate, cost-effective designs and products. Whether designing logos, crafting traditional hand-carved signs, or developing websites, Design WorkShop is dedicated to building a competitive image advantage for its clients. In addition to operating their business, Deanna and Brian are passionate arts advocates, and are the driving force behind the Bing Arts Center, a non-profit, community arts center in the city’s Forest Park neighborhood.